Let’s now talk about the persons who should–sadly, I must italicize that word–be available to bear with you as much of the truth as can be spoken: your counselor or psychotherapist. As I said earlier, if medications are detoxifying agents of the pool, then psychotherapy (or its equivalent) is the decontaminating agent of the pool. I stressed “of the pool” because, as I said in the last post, the “contaminants,” i.e., the memories of the experiences of the War, still need to be detoxified. Psychotherapy, however, detoxifies outside the pool, on the observation deck. In Real World terms, that means that psychotherapy relieves the pain of the War by bringing it into the therapeutic relationship, feeling it, talking about it, and dealing with it there. Sad to say, I know the clinician whereof she speaks, and sadder to say, my colleague is spot-on. I would ask you to consider, however, that sometimes the problem is more a mismatch between therapist and veteran. Just as combat veterans differ in how they rejuvenate, so do therapists. Perhaps through understanding this, you and/or some of your fellow veterans might be able to salvage some therapeutic relationships. At the very least, you might have a better understanding of why a particular relationship might not work, no matter how hard either party might try. Generally speaking, psychotherapies geared toward helping veterans with combat trauma/PTSD are ultimately neutral as to whether they can be effective for kinetic-energy/extroverts or potential-energy/introverts. It is less about the therapy itself and more about how that psychotherapy can most effectively be used with any particular veteran. That being said, therapists trained in most modern mental health training programs, i.e., psychiatrists, psychologists, social workers, mental health counselors, tend to have been schooled in a “world view”that is much more congruent with the kinetic-energy/extroverted style of rejuvenation rather than that of the potential-energy/introverted. As I have stated in earlier posts such as Treatment Plans and Is It Something I Said? (all right, I admit it: as I lamented), the ethos of much modern psychotherapy practice is get-‘er-done, get-‘er-done efficiently, and get-‘er-done fast. Even when particular therapists resist this type of practice mind-set, they often still have to justify to the powers-that-be why they in fact are resisting. “Expedient effectiveness” is the name of the game. It is, of course, ridiculous for anyone (starting with myself) to argue that psychotherapy should not be expediently effective. All of us want suffering to end as quickly as possible, after all. The point to remember in the following discussions is this one: kinetic-energy/extroverted veterans rejuvenate far away from the inner emotional pool. Potential-energy/introverts, in contrast, must rejuvenate right next to the emotional pool. Any particular decontamination technique (i.e., psychotherapy, especially an “evidence-based” one) might work equally as quickly for a kinetic-energy/extrovert as a potential-energy/introvert in terms of rate of pool decontamination. However, the former can escape the stench in order to rejuvenate, while the latter cannot. To understand the ramifications of this, let us look at how the psychotherapies fit into our metaphoric system and then look at how the kinetic-energy/extroverted and potential-energy/introverted “environments” influence how these therapies may be most effectively used. Let’s go back to our pool analogy. Metaphorically, in PE the veteran dives right into the contaminated pool, with the therapist (hopefully) right there on the observation deck, gently pushing the veteran each time to swim a little longer, gather a few more contaminants, throw them out on the deck, and then get out of the water to sit with the therapist long enough to allow the toxins to seep out. In the Real World, that means that the therapist encourages the veteran to remember in detail the most traumatic experiences, usually recording them (e.g., cassette tape or digital recording) for later playback, so that with each episode of listening to the recording and remembering (i.e., jumping into the contaminated pool), at first in the therapist’s presence and then later on his/her own, the veteran can be less and less emotionally devastated by the memories and thus can be freer to experience a variety of emotions, both good and not-so-good, in that very same Real World. In contrast, CPT is a bit more like both veteran and therapist sitting on the observation deck throughout the treatment, with the therapist giving the veterans lessons and guidance in how to use a net to fish out the contaminants and then bring them out to allow the toxins to seep away. In Real World terms, the therapist asks the veteran to observe the patterns of emotional responses, the thoughts and actions that trigger them and relieve them, all for the purpose of the veteran’s learning more effective ways to “think through” painful emotions before they get out of hand. For kinetic-energy/extrovert veterans, [the “observation deck”] is not a particularly large one. It is an “area” that is large enough to allow them to take the time necessary to reflect adequately on their emotions–but that’s it. Again, they want to be back out in The Real World, using their knowledge of their changing emotional states to get “moving” into activities and relationships for the purpose of rejuvenation, of getting the energy/intensity they need to live out those emotions in the ways they most desire. PE and CPT are more than just techniques, even though there is a “technique” aspect to how each therapy encourages the veteran to “decontaminate the pool” (“diving” for PE versus “net fishing” for CPT). Both rely heavily on the therapist’s and veteran’s having a good relationship within which to detoxify the contaminants once they are “out of the pool,” i.e., identified and discussed in the therapy. The more trauma a kinetic-energy/extroverted combat veteran has endured (whether before deployment or during), the more contaminants there will be in the emotional pool and the longer the duration of the process will be. As the psychotherapy continues, however, there will be fewer and fewer contaminants to be removed and detoxified. Combine this with the fact that the kinetic-energy/extroverted combat veteran will always come “back” to the pool having rejuvenated “far away” from the pool, the veteran will almost certainly be able to take over the decontamination-detoxification process from the therapist more quickly than would have been the case if the veterans could not have rejuvenated in that way (i.e., if the veteran had been potential-energy/introverted). Remember: it is not that kinetic-energy/extroverted veterans are not reflective, for many of them are. It is not that they do not ponder the existential and spiritual issues of War, for many of them do. It usually is the case, though, that they do not regularly seek to reflect and ponder, for (usually) they are much more focused on motion and interpersonal connection day-to-day. It’s not that they couldn’t discuss such “inner” issues in psychotherapy. It’s just that more often than not, they would prefer not to do that too much at all–and certainly not by having to take a couple hours out of their week to do so with a relative stranger. [For potential-energy/introverts,] the emotional pool sits in the middle of a figurative “inner spa” that is not solely about emotions. Like kinetic-energy/extroverts, we too need a space near the pool to reflect adequately on our emotions. However, [they] then need to move to an “adjacent” area in order to sit quietly within [themselves] and reflect not only on what [they] feel, but also on what [they] know, whom [they] know, what [they] might wish to do with such knowledge, all for the purpose of rejuvenation, of getting the energy/intensity [they] need to live out that knowledge in The Real World in the ways [they] most desire. In other words, for potential-energy/introverted combat veterans, their pool of emotions is an integral part of that rejuvenation spa, but it is not the only part of the spa. Like their kinetic-energy/extroverted counterparts, the more trauma a potential-energy/introverted combat veteran has endured (whether before deployment or during), the more contaminants there will be in the emotional pool and the longer the duration of the process will be. Similarly, as the psychotherapy continues, there will be fewer and fewer contaminants to be removed and detoxified. The stench of the toxic pool will lessen over time. But the potential-energy/introverted veteran must rejuvenate in the midst of the stench, no matter how long it takes for that toxic stench, through therapy, to lessen. Here is the essence of the potential-energy/introverted veteran’s dilemma with the evidence-based psychotherapies as they are often presented by some practitioners: just as the emotional pool is only one part of the spa, so is the decontamination/detoxification of that pool only one part of the veteran’s recovering his or her ability to rejuvenate in any meaningful way. In other words, once potential-energy/introverted combat veterans have decided to open themselves up to trying psychotherapy, they are usually expecting their therapists to help them out with rehabilitation of the whole spa, not just the decontamination/detoxification of the pool. The answer is simple: the veterans “still feel so bad” because the toxicity of The War Within not only poisoned their pool, but also poisoned their entire spa. It’s as if the toxic fumes have rotted the walls, destroyed all the furniture, made the whole place inhabitable, with no place to be fed, no place to be revived, no place to be treasured. They had thought that if they were going to be opening themselves up to the pain of psychotherapy, they were going to be getting a full renovation–not a partial job (though a competent one) with options for referral to other providers. So how can such a mismatch/misunderstanding happen? I have three hypotheses. Even if a therapist is kinetic-energy/extroverted, one should not assume that she or he cannot understand the rejuvenation strategy and needs of a potential-energy/introverted veteran. My longstanding consultant/supervisor, for example, is as kinetic-energy/extroverted as they come (you ought to see her do West Coast Swing dancing), yet she is a well-known, well-respected psychoanalyst who specializes in understanding the inner world of trauma victims. Similarly, one should not assume that just because a kinetic-energy/extroverted therapist has been trained in more contemporary training programs, the therapist cannot sit for longer periods of time with veterans and do more generalized, “inner” work that is not solely focused on symptom management and emotional regulation. I do think that many kinetic-energy/extroverted therapists from contemporary training programs have little to no understanding of the potential-energy/introverted veteran’s (or any other patient’s) need for more extended inner reflection in order to feel that anything of value is being accomplished. In fact, many such therapists, from my experience, do seem to believe–quite sincerely–that focused, goal-oriented, shorter-term treatment is not only something valuable, it is something superior in value. Some of them–and I do mean only some–even seem to believe with all their hearts that if a veteran is not responding with reasonable enthusiasm to a more standard, evidence-based approach, then the veteran is either a). suffering from longstanding trauma that must have predated the employment, or b). resisting treatment because of personality disorder issues or a conscious desire to seek the sick-role in order to maintain an illness that will allow disability benefits to be paid. I wish I could say that I have never heard a VA therapist say such things. Even sadder, though: it’s not only the occasional kinetic-energy/extroverted therapist who does. I wish this were not as common a scenario as it apparently is. I am going to make a boldfaced, general statement: most modern mental health training programs do an atrocious job in teaching their trainees how to work with individuals who have been severely traumatized. I cannot fault a relatively-new therapist for struggling to deal with the emotions brought on by sitting with any traumatized individual, let alone a combat veteran. Classroom education cannot adequately prepare anyone for those challenges. Too many recently-trained therapists, however, have zero conceptual inkling of even how to understand such challenges. They don’t even know what they don’t know, and too many of them think they do. These are often the therapists who reduce PE and CPT to mere technique, almost as a way to assure themselves that they are a). competent and b). accomplishing something. At one time, you could assume that therapists had undergone some type of more extended therapy themselves. You can no longer assume that. In fact, I’d say you’d be more often right if you were to assume that any particular therapist has not. That is not to say that the therapist has maybe not done a counseling session or two or three at some point in his or her life. But it is doubtful that he or she has done much extended work. The modern ethos of psychotherapy is “keep it focused, keep it quick.” You don’t need to have that much such self-understanding to do that relatively successfully and graduate from a decent program. In fact, after a session or two of instruction, you could probably do all the rest of the therapy with an app on a good iPad, right? Admittedly, kinetic-energy/extroverted therapists usually can get away with minimal therapy of their own. Usually they do work that is focused, and they prefer to work with people who are able to stay focused. As I often say, no harm, no foul. The ones I worry about are the potential-energy/introverted therapists who, by their very nature, spend a lot of time in their inner spa, yet who are not that particularly aware of what’s going on in there. My experience is that many of them do evidence-based therapies particularly badly with potential-energy/introvert veterans: at their core, the therapists know that a lot more than the emotional pool is at stake, but they can’t even keep their own inner world in order, let alone another person’s. One can get away with such semi-blind-leading-the-blind therapy (sort of) with standard issues such as depression or anxiety. But with the horror of combat trauma? Usually bad news, all around. The majority of potential-energy/introverted therapists whom I know fall into this third category. I am not going to rail against my employer here. I work for the largest healthcare system in the United States, and it’s a very public-faced one within a highly political context. Everyone is doing what they can with what little they have–oh, yes, and we’re going to have to cut back, you know, spending beyond our means, so the wise ones of Congress and the think tanks say, and all that . . . There are no surprises here: a (massively) underfunded War with no clear strategy for providing afterwards for the large number of combat veterans in general, let alone a strategy for differentiating treatments based on underlying personality dynamics (although there are those that hope against hope one day to find a blood test to figure it all out). Combine that with a challenging economy without a lot of leeway for those with interpersonal challenges or mild cognitive challenges, within a group of young men and women who have families that need to be not only provided for, but watched after, requiring packed schedules with little room for play in them, and what do you get? Why, eight visits within fourteen weeks of focused, evidence-based therapy, with supplemental support through veteran-run groups, right? There are a lot of excellent, overwhelmed, and semi-demoralized potential-energy/introverted therapists out there in the public sector, trying to help potential-energy/introverted combat veterans who are looking for more than a few well-run individual sessions followed by groups of “veterans helping veterans” (only a kinetic-energy/extrovert could have come up with that line and felt it to be the self-evident goal so many want to make it out to be). Many such therapists love their work and the veterans whom they serve, yet they are finding every day of work to be so very, very frustrating. Well, dear Sir, even if all that does supply some valuable background information, it does not help you much with your challenge, does it? At this point, I’m going to go out on a limb, speaking as an individual and not as an employee of the federal government: if you are a potential-energy/introverted combat veteran who, because of your emotional intensity, is looking for an opportunity to meet more regularly with a therapist to try to reconstruct your “inner spa” in as many ways as is feasible so as to maximize your meaningfulness in life? I wish that weren’t the case. But as of today, I believe I can say: it just is. 1. 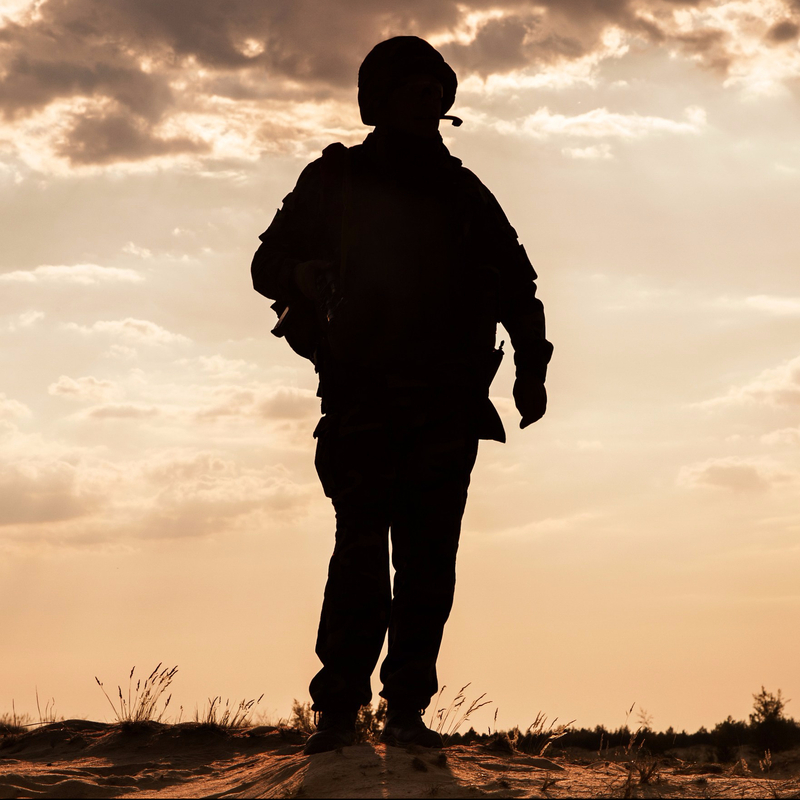 The Soldiers Project is an excellent organization that is continually trying to recruit experienced therapists to provide free, ongoing therapy for combat veterans who are looking for longer-term solutions to their inner turmoil. As of this point, they are primarily hindered by the relatively-limited geographic availability of therapists, but they are working to increase their supply of referrals daily. I cannot recommend them highly enough. 2. Give an Hour is a larger organization that provides similar services, i.e., referrals for free care in the community for veterans with a wide variety of needs. This organization tends, from my understanding, to draw on a variety of therapists using a variety of modalities, so it is not solely about therapists seeking to provide longer-term services for veterans who feel a need for them. Yet they remain ready to consult with veterans to try to find a therapist who will best meet a veteran’s personality style and goals. 3. The Pathway Home is a superior, residential facility located in the Napa Valley of California that provides intensive, four-month-long, twenty-four-hour-a-day programming in an unlocked, residential setting to help combat veterans deal more intensely with their emotional struggles. It is a nonprofit organization using a variety of funding sources to provide care for veterans without requiring insurance or private pay, and they have access to a variety of national programs that help veterans with transportation to California, as well as to a nationwide network of alumni who provide 24-hour support to each other through texting, social networking, and other avenues. I wish, dear Sir, that I could offer you more in the way of longer-term treatment options, but they remain limited at this time. I am thus fully aware that none of these options may turn out to be viable ones for you. Therefore, in the spirit of the military’s “change course and keep going,” let me conclude with the next post on alternatives, including “spiritual”or “ritual” retreats, work with clergy, and, when all else fails, journaling.